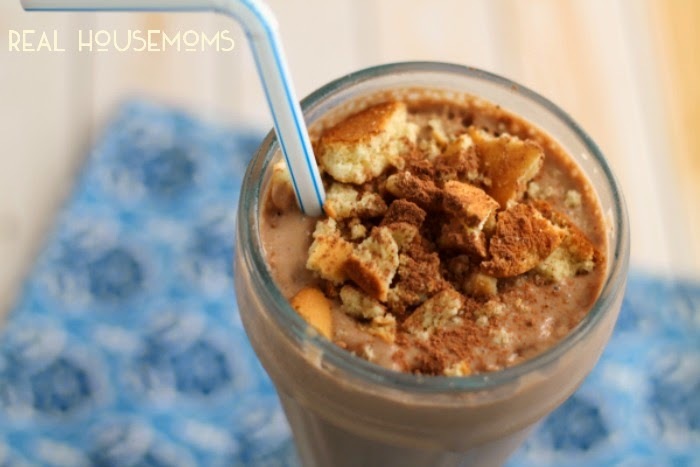 The thought of drinking a glass of milk makes my stomach turn. But if I overdo it on the cheese or ice cream, I do pay for it. Lately, I have been embracing the many benefits of almond milk. Most often you will find me using it almost daily in my green smoothies. But thanks to the new line of Silk products, I have been branching out beyond the smoothie, folks. 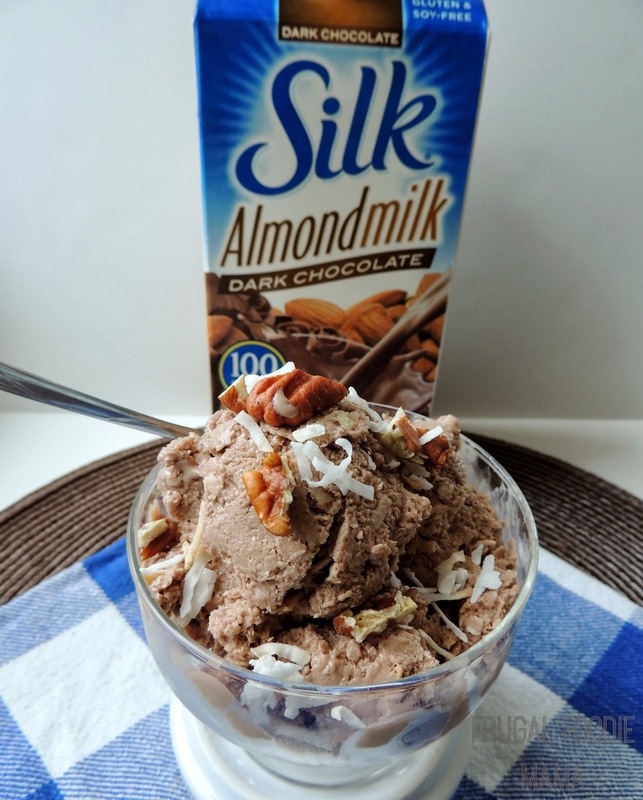 Silk offers a full line of dairy-free, gluten-free milks and yogurts. 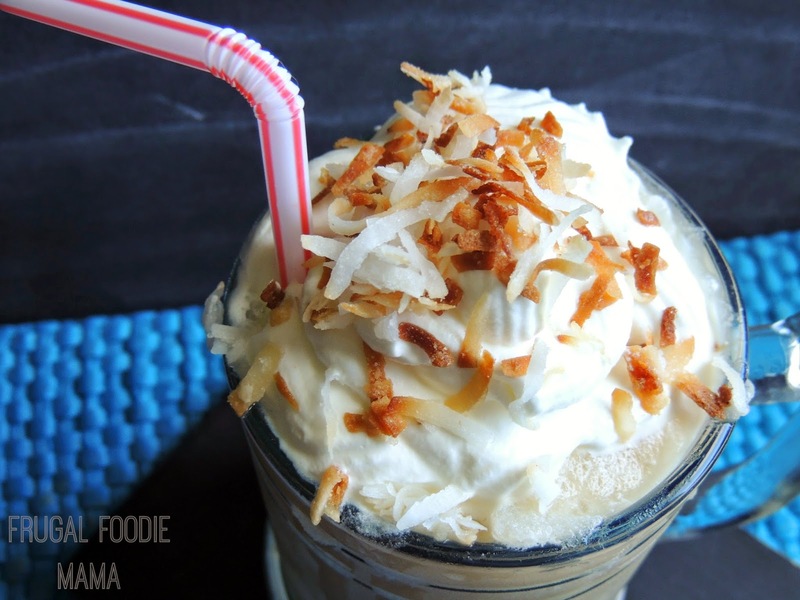 From soy milk to coconut to almond, you are sure to find your Silk favorite too. Preheat your oven to 325 degrees. Line a baking sheet with parchment paper and evenly spread out the coconut and chopped pecans over the paper. Bake for 5-10 minutes or until the pecans are toasted and the coconut is lightly golden brown. In a large mixing bowl, combine the coconut milk, Silk Dark Chocolate Almondmilk, sweetened condensed milk, cocoa powder, and vanilla. Using an immersion blender or hand mixer, beat the ingredients until smooth and creamy- about 3-5 minutes. Fold in the whipped topping until well combined. 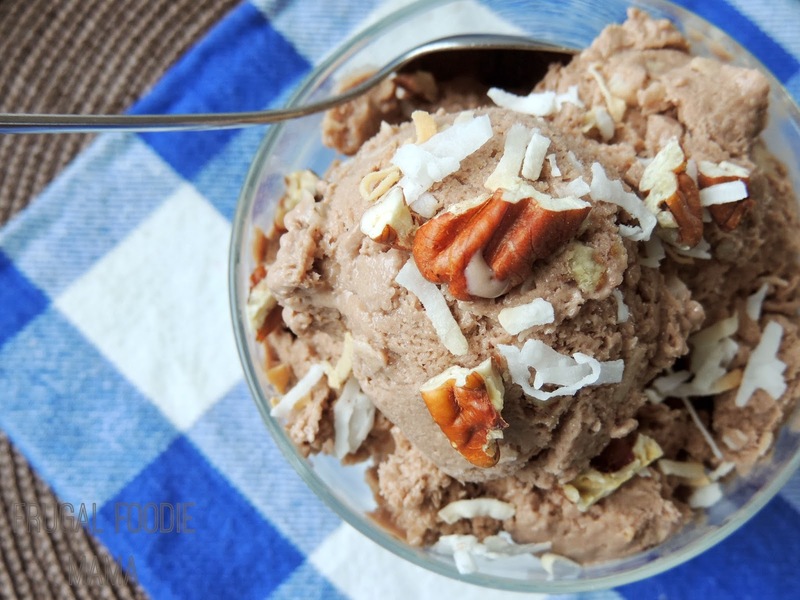 Mix in the toasted coconut and chopped pecans to the semi-frozen ice cream base. 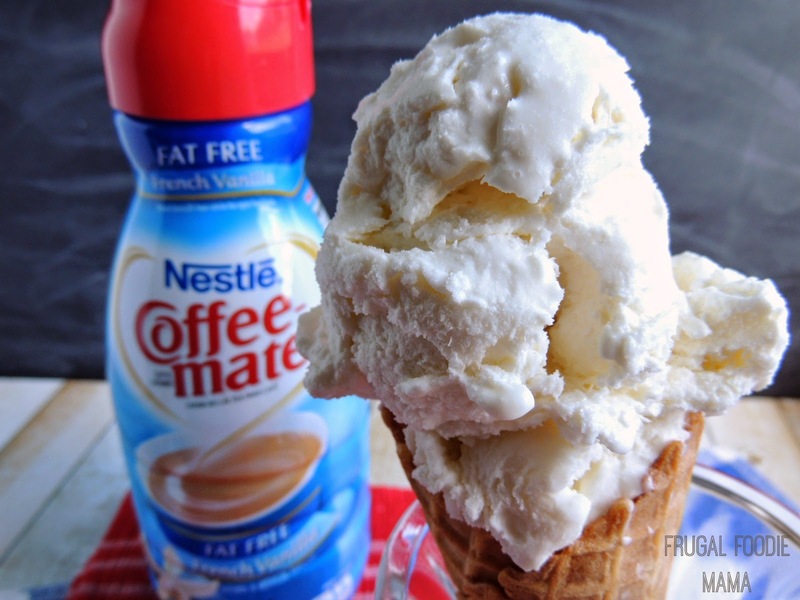 Homemade ice cream tends to freeze harder than the store bought varieties. Allow the container to sit out at room temperature for at least 15 minutes before serving. 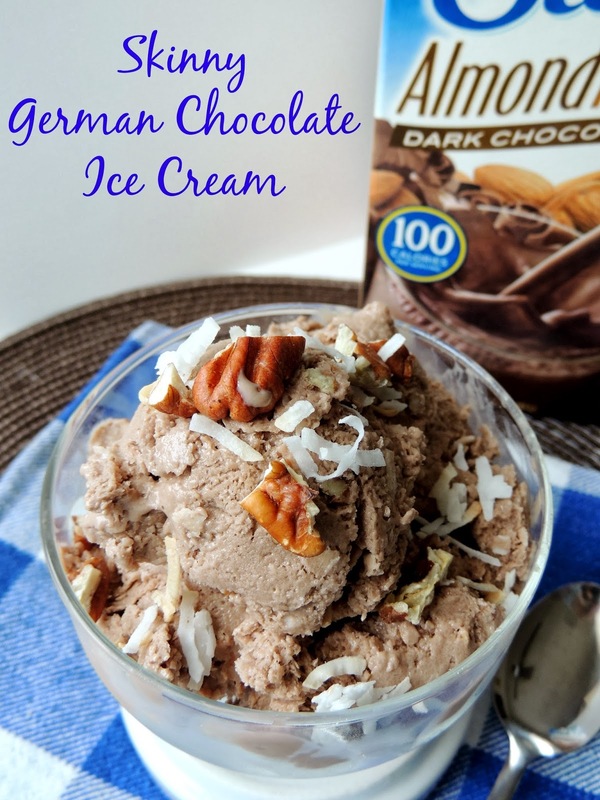 This Skinny German Chocolate Ice Cream is creamy & delicious and easy on the waistline. Making small swaps of my usual dairy with Silk products is helping me to become a healthier mama with a much happier (& calmer!) tummy.